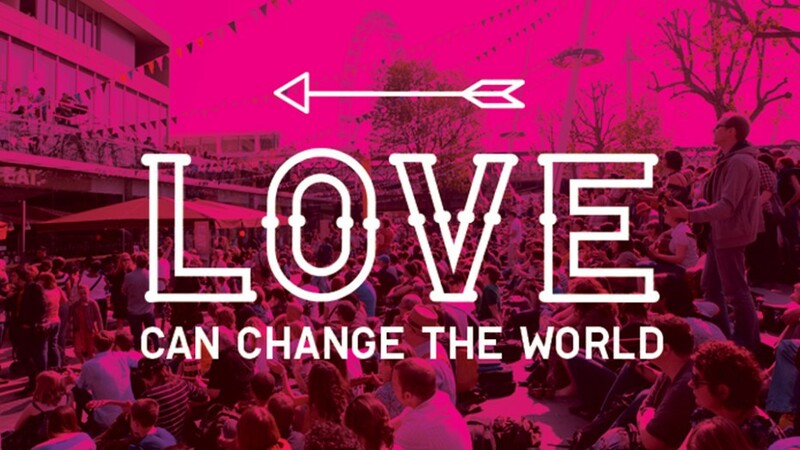 Throughout the summer, Southbank Centre’s celebrates the Festival of Love. Our biennial Poetry International festival (17 – 24 July 2014) explores many different themes including the various ways in which love can impact on writers’ lives. Poetry film will be a major part of this year’s Poetry International. Prizes: Southbank Centre is very keen that each submission is seen as a collaborative artwork between poet and filmmaker, so this prize is awarded jointly to the winning poet and filmmaker in each category. Poems must be by living poets and follow the copyright guidance and rules here. • Shortlisted films will be shown in Purcell Room at Queen Elizabeth Hall, Southbank Centre, on Friday 18 July 2014 and all shortlisted filmmakers will be invited to the screening. The winner and arunner-up will be announced on the night. • The winning film will receive £500 to be shared between poet and filmmaker as well as a pair of tickets each to Poetry International’s Gala Reading. • The runner-up poet and filmmaker will receive a pair of tickets each to Poetry International’s Gala Reading. • Shortlisted films will be shown in The Clore Ballroom at Royal Festival Hall, Southbank Centre on Saturday 19 July 2014. The winner and runner-up will be announced on the night. • The winning children’s film will receive £500 to be shared between poet and filmmaker as well as a pair of tickets each to Poetry International’s Gala Reading. • The winning film will also be shown in Imagine Children’s Festival 2015 headlining a children’s poetry film event – this is one of our busiest festivals, attracting thousands of audience members every year. • Both winning films will be shown at 2014’s ZEBRA Poetry Film Festival in Berlin. Festival Ideas Cloud – Southbank Centre’s Kids Advisory Group: a collection of 24 children from six London primary schools, with a little guidance from the Shot Through the Heart judges. Please send in new poetry films that respond to the theme of ‘Love’ marked with one of the two categories: Adult’s Poetry Film andChildren’s Poetry Film. Films should be no longer than five minutes and should be submitted bearing the names of the poet and the filmmaker where relevant. A memory stick containing each film should reach Bea Colley, Participation Producer for Literature & Spoken Word at Southbank Centre by Friday 30 May 2014. Payment should be made before films are sent. Payment can be made online, please select Adult’s Submission or Children’s Submission at point of purchase. Please include your order number (which will appear once your order is confirmed) when you send your film entry. Full terms and conditions, where to send your films and rules are listed here.